Honda is all set to bring a brand new model to Indian market. Last year in the month of June, we reported that Honda will be launching a new crossover named WR-V in India in 2017. And now, Honda has officially unveiled the WR-V. Honda WR-V will be hitting the Indian roads anytime in April 2017. During the Sao Paulo motor show, Honda unveiled the new WR-V which is a cross-over hatchback that is based on Jazz. 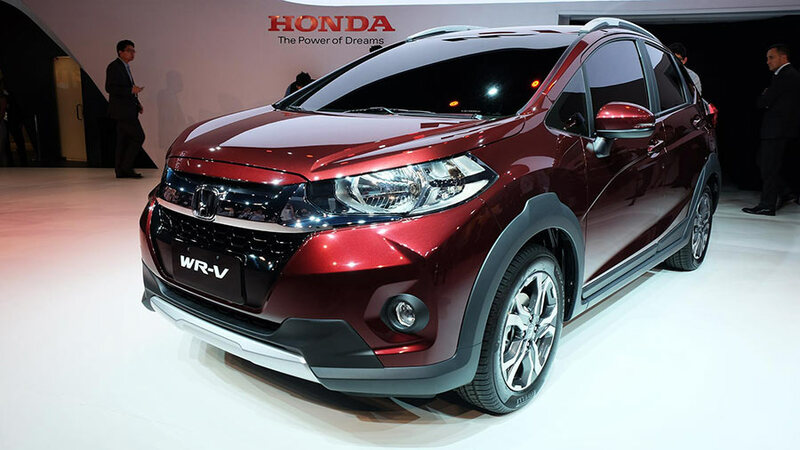 The unveiled Honda WR-V crossover hatchback gets a very aggressive bumper and muscular design. The headlamps of Honda WR-V are different from Honda Jazz and gets a black inserts. 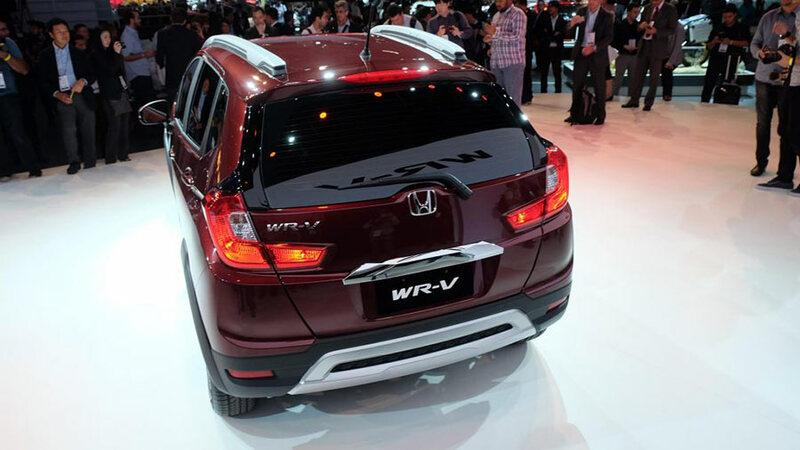 The grille of Honda WR-V gets a thick chrome band which you see in models like Honda BR-V. When it comes to specifications, The India edition of Honda WR-V gets same engine and gearbox options which is present in the car that is released in International market. Honda WR-V will be offered in 90hp 1.2-litre, i-VTEC petrol engine ( which is derived from Brio) and also gets 100hp 1.5-litre Earth Dreams i-DTEC diesel engine like on the City and the Mobilio. The Transmission options of Honda WR-V includes a 5-speed manual as well as CVT gearbox for the petrol engine where as WR-V’s diesel engine is mated to a six-speed manual transmission gearbox. Seems like Honda has sensed that there is going to be good demand in the cross-over hatchback segment and has unveiled WR-V. 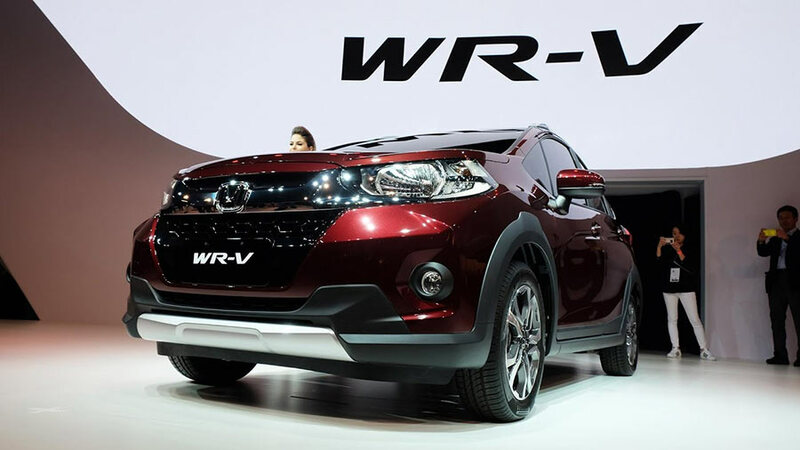 Although it is not a proper compact SUV, WR-V can still rival against top performing compact SUV cars in India like Maruti Vitara Brezza and Hyundai Creta. We will have to wait and watch until the Honda WR-V launches in India on April 2017.